We couldn't talk about lace cap wigs if we didn't discuss lace front wig caps. As you already know, a lace front wig has lace at the front only where the hair is ventilated in single strands. Lace front wigs come with different cap types and the open weft is a staple cap design. 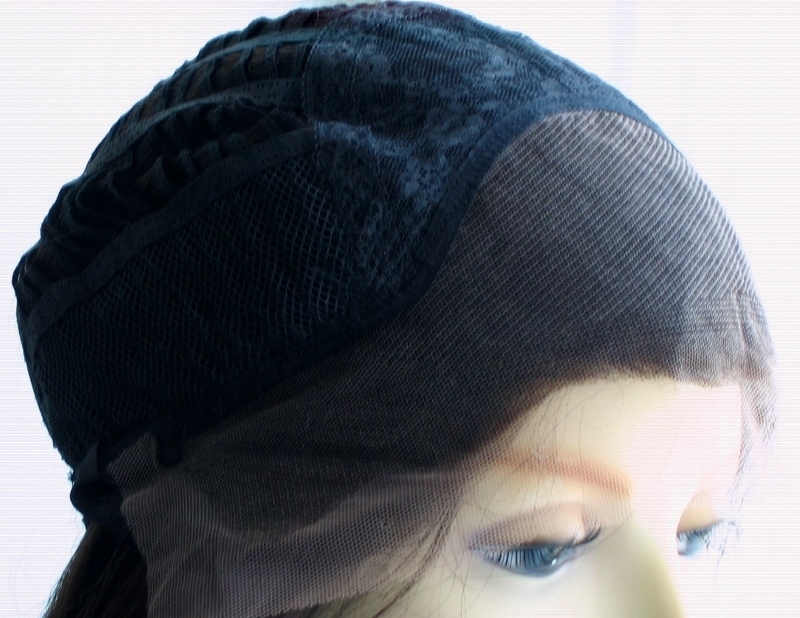 The open wefts through the middle and reaching the back of the cap means there is no integral solid cap although there is a lace mesh on the crown and often a mesh material at each side (see images below) - this wig is sometimes referred to as "capless". The twist on this classic open weft cap design is to have a closed weft cap design where wefts are covered by a lightweight stretch material. Lace front wigs typically come with adjustable straps at the back or an elasticated perimeter at the back. Traditionally they don't have combs as they are to be worn with the use of adhesives. 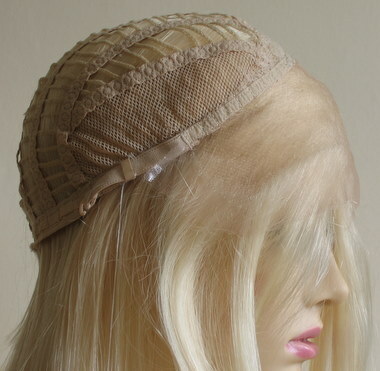 The wefts are on a slightly elasticated structure there is extra room from forehead to nape with this lace front wig cap design and there is extra room around the circumference of the wig. The standard medium cap size of 22.5 inches (circumference) for a lace front wig would fit a head of up to 23.5 inches. Equally, the adjustable straps can reduce the overall size by up to four centimetres (approximately 1.5 inches) so if your measurements are slightly smaller than the standard 22.5 inch lace front wig cap, then you'll be able to adjust it to make it smaller. This is by another super easy lace front wig cap construction to use and is a great option for those who are new to wearing lace front wigs as well as being popular with those who have worn them for some time. As there is no lace at the top of the ears, it means that the hair cannot be worn in a high up-do as the edge of the cap would show – however our top tip is to simply go for the trendy tousled (or loose) high ponytail so that some of the hair is covering the top and back of your ears, which means the cap edge is out of sight – ta-dah!